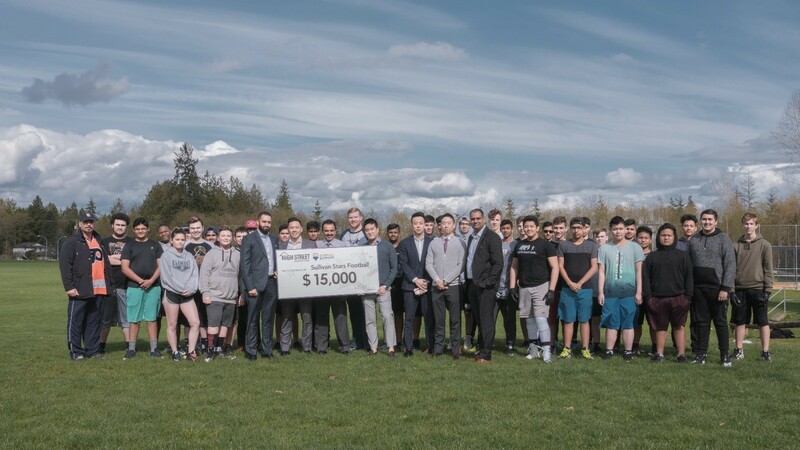 Sullivan Heights Secondary School in Surrey has never had a local football team before… until now! They have over 50 players signed up to play tackle football beginning in Fall 2018, under the leadership of Coach Gord Randall. 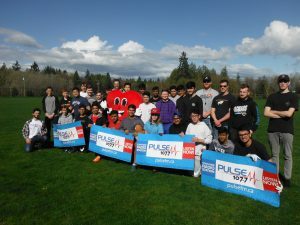 Earlier in 2018, PULSE FM brought to light the fact that because the school has no current infrastructure or equipment for this brand new sports program, they were facing extensive startup costs. Thanks to your help, the Sullivan Heights Football Team has been able to raise about $30,000 in donations! And next school year’s football team at Sullivan Heights WILL become a reality. Go STARS! AND THE GOOD NEWS KEEP ON COMING! Thanks to the generous team at High Street Marketing, The Sullivan Heights football team are even closer to their goal! A huge thank you to Andreas Yuan, Victer Aujla, Amit Ghuman, Kevin Yu and the rest of the High Street team for their generosity, you’re continued partnership is sure to make this season a touch down! The generous donation of fifteen thousand dollars is going to be a tremendous help in getting the program off the ground! Business are spoiled for choice when it comes to investing, and to have them invest it here, in our community, and in our backyard is what create community. We are incredibly appreciative of the investment they’ve chosen to make in and our local Sullivan Heights community! What amazing corporate citizens!